I started seeing this kinda of pictures in July last year where a lot of my friends was posting their feet on transparent glass floor... looks kinda cool & scary at the same time! Later I found out this place is The Sky at One City Mall, in USJ. NOTE : Please do not wear skirts or dress when you want to come to this The Sky at One City to take picture cos it's transparent glass and you are "free viewing"to the shopper below.. 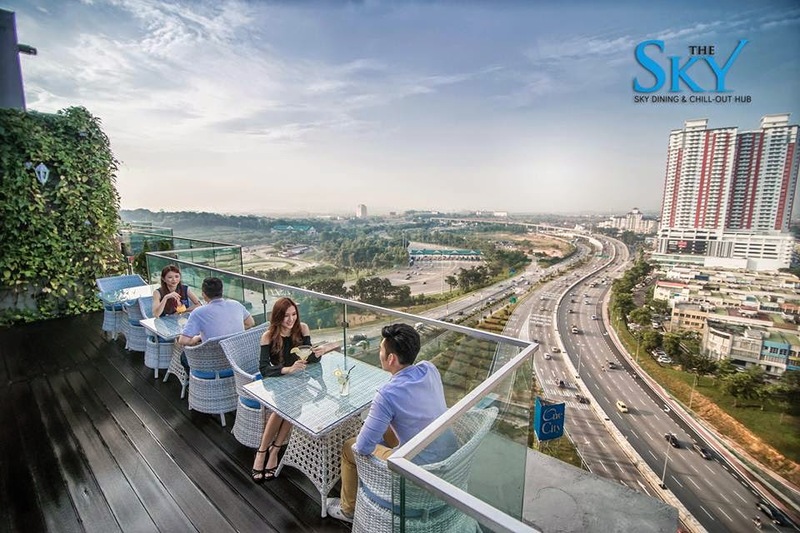 The Sky at One City is established on the 10th floor (rooftop) of the 16-level mall, inevitably an urban dining oasis in the Subang vicinity. 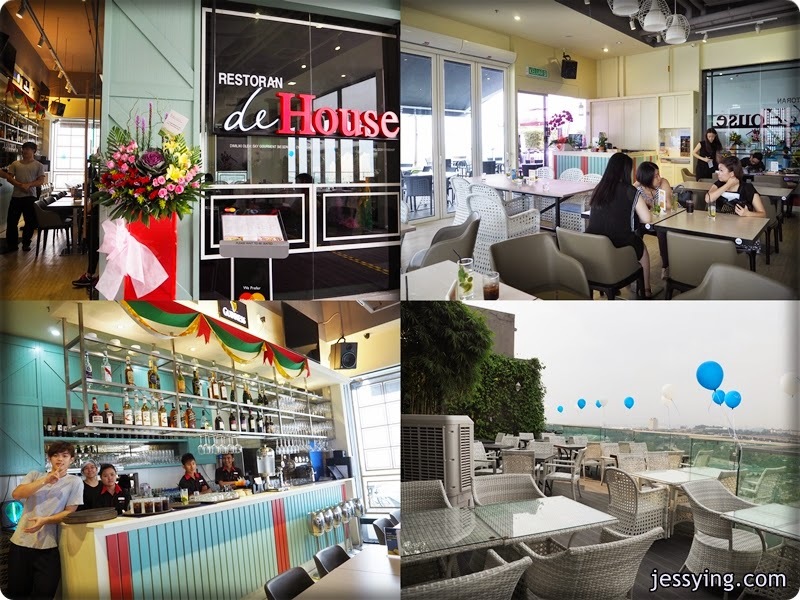 This is the biggest rooftop food and beverage area in Malaysia, offering international cuisine that includes Thai, Korean and western delights, not forgetting a sports bar with darts game, pool table facilities and a chill-out lounge with live band, a new remarkable place for dining, chill-out, events, music and gathering. What I really like about this place is each restaurant has their own outdoor sky dining area and that totally fits the name of the place! The Sky at One City had their official opening last week. At a star studded gala night, more than 1000 guests were treated to a spectacular showcase by a great line-up of artists that included Henley Hii, Baki Zainal, Dina Nadzir, Shawn Lee and international illusionist, Zlwin Chew. 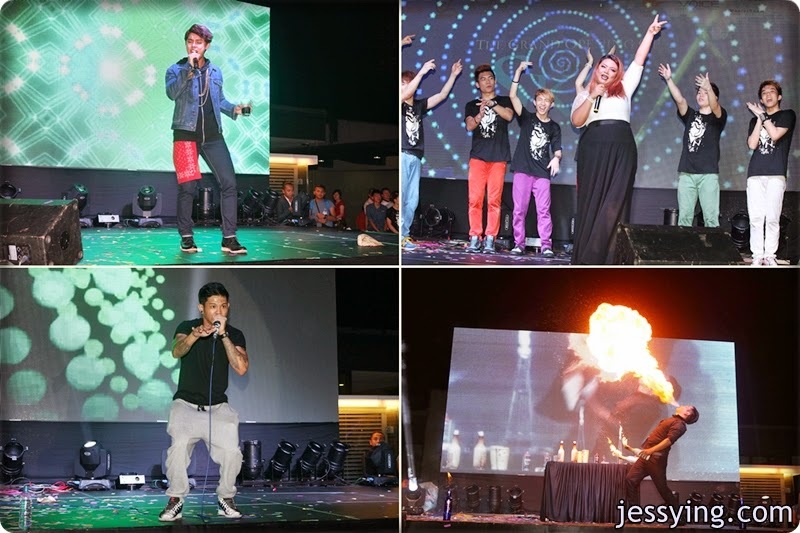 Besides the night’s performances, guests were also entertained by various games and activities at the grand opening. 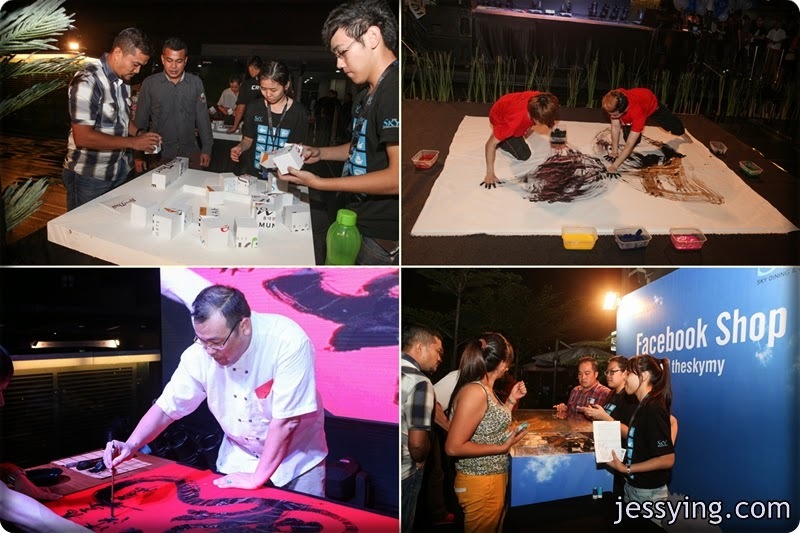 All invited guests for the happening night were able to win prizes totaling RM16, 000 from the lucky draw, as well as use Facebook posts to ‘buy’ themselves some exclusive merchandise from The Sky’s “Facebook Shop”, in an innovative new social media concept. In high spirits, guests continued to party at The Sky till the wee hours of the morning. The highlight of the night was food tasting from The Sky’s six restaurants. And here I will introduced each restaurants in The Sky at One City and their signature dishes. Master Room serves unique fusion dishes. 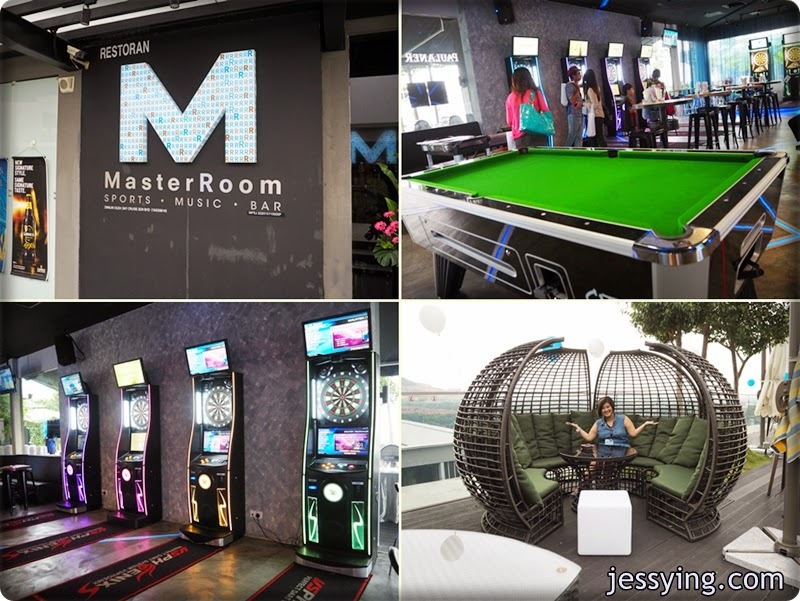 It's a family-oriented restaurant and sports bar wants to cater to all walks of life. Petite Nasi Lemak (RM9) is a mini version of the local favourite, creatively served in baskets of pai tee. Each serving of the bite-sized morsels comes complete with anchovies, peanuts, sambal, egg and cucumber, while the pai tee’s crunchy texture is similar to keropok. Reminds me of the proverb kecil kecil cili padi which means although it's small but really spicy! So cute that I decided to take selfie it! I would think this is a very unique combination of Caesar salad & quail eggs. Unfortunately I'm not a fan of quail eggs. Spaghetti Aglio e Olio Vongoli (Clam) - very generous portion of clams! The tomyam is not only aromatic and savoury but also spicy... hence not for someone who has faint heart! Prawn and Fish Cake Combo. It was homemade and the ingredients that they used are really fresh. I can taste the sweetness of fish & prawn and the chilly dip sauce complement this very well. 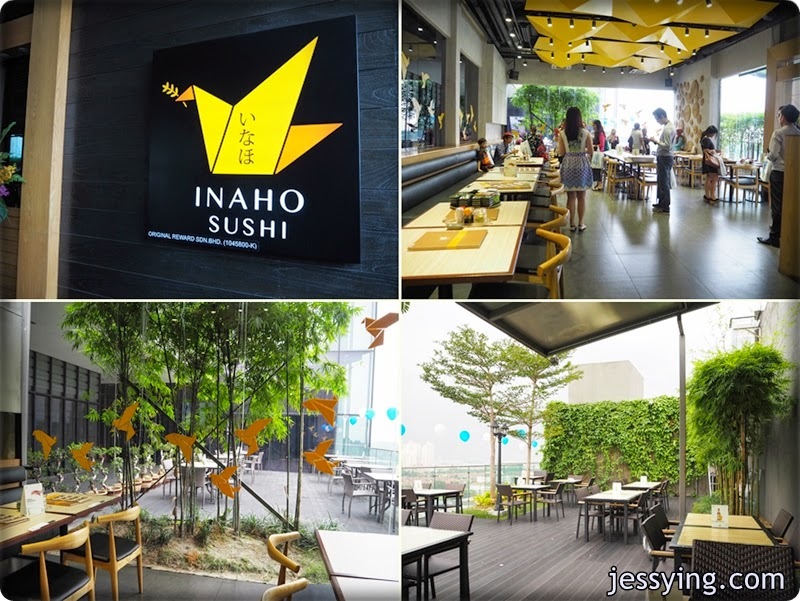 Inaho Sushi offers casual dine Japanese cuisine. They also have another branch in The Curve, Mutiara Damansara. I really like how they decorate the restaurant with bamboo and it gives zen feeling! Momiji Sashimi - those who enjoy raw food would definitely love this! Yakitori Moriawase - grilled marinated chicken, tomatoes and lady fingers! 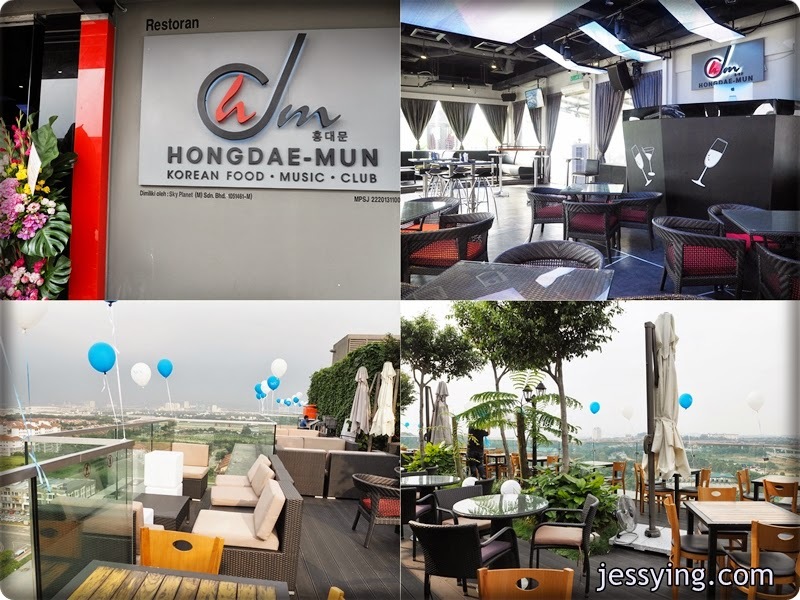 Hongdae-Mun Restaurant offers authentic Korean food. The name Hongdae originated from a place in South Korea and in fact I been there cos that area are famous of clubs, cafes and fashion. 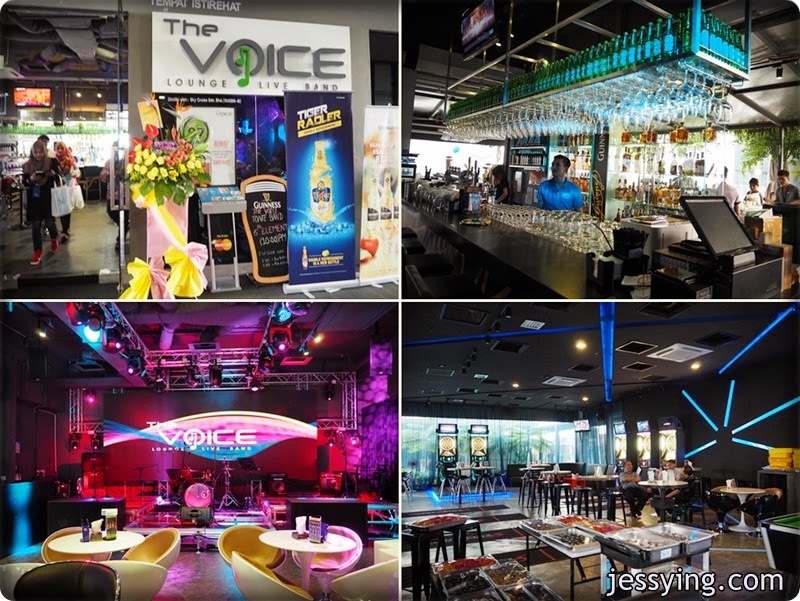 The Voice Restaurant is a restaurant that offers fusion food & chill-out lounge with live band. Are you afraid of height... I'm but die die want to take picture lah.. This is a memorable evening at The Sky, One City Mall as I managed to visit & taste some of the food from the 6 restaurants. 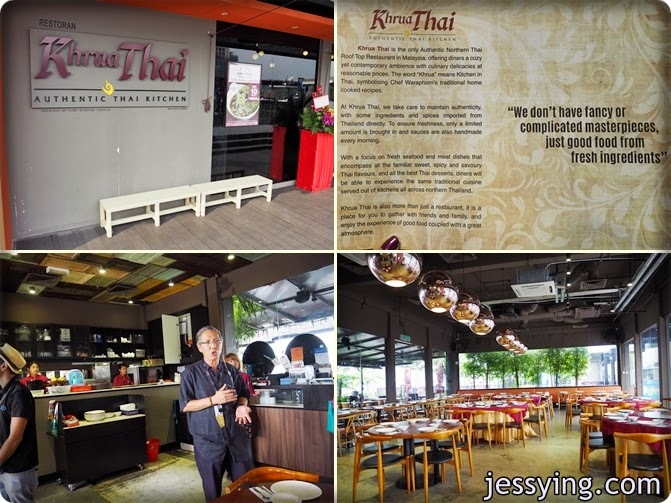 I am planning to go back for Khrua Thai Restaurant for Thai dinner and then going to chill out at The Voice to enjoy the music performance & panoramic view of the night skyline. 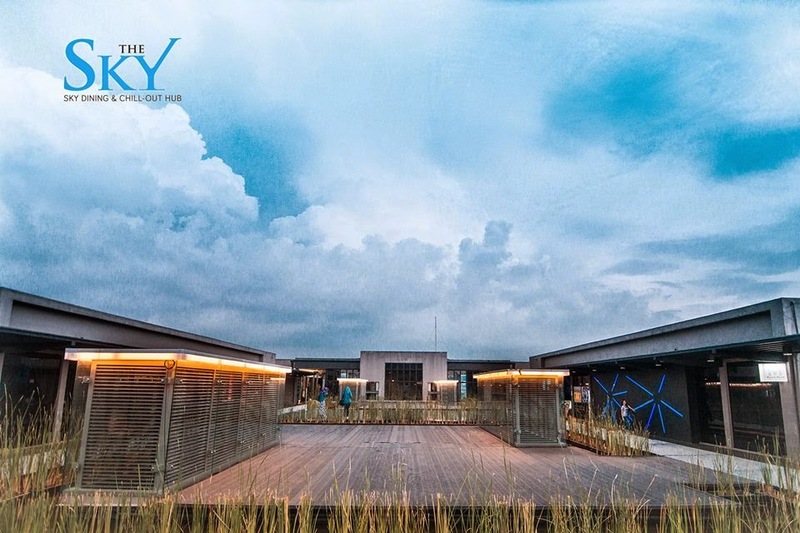 The Sky at One City is located at 10th floor (rooftop). In case you do not know where is One City Mall located, here is the location map.